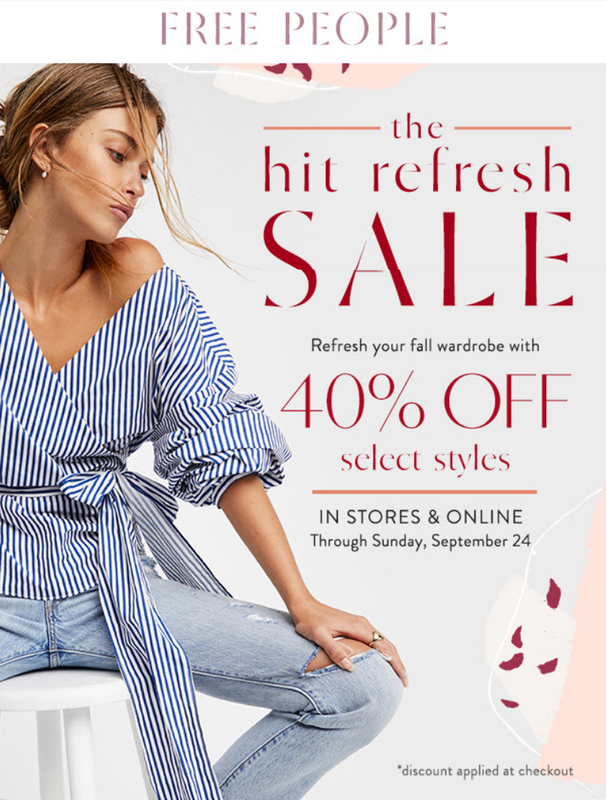 Free People is making Thursday extra great with 40% off select styles, now through Sunday! This limited-time promotion features some perfect pretties — the Madeline Wrap Top ($98 + 40% off, above) is one of my favorites at the store right now, and this is quite a good deal on it! Other highlights on the promo page include the Floral Joe Lace Up Boot ($298 + 40% off), which come in 4 spectacular patterns, and the gorgeous yet extra deep v-necks of the Eyelet Flare Dress ($370 + 40% off) and the Meow Meow Velvet Maxi Slip ($98 + 40% off), both of which will likely need layering tops underneath them. Shop these and more of my favorites in the promotion below. While not an extra 40% off Free People’s sale section is also chock full of goodies! 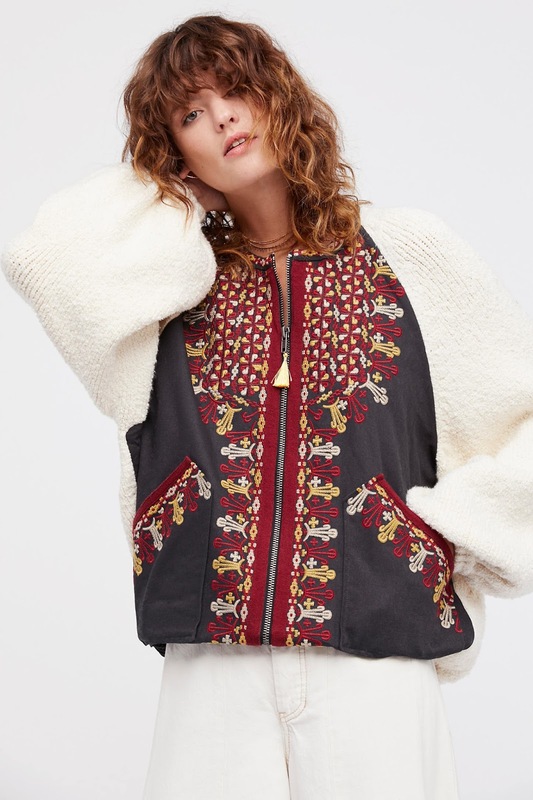 I’ve compiled a cart full of delectables like the Two Faced Embroidered Jacket (now $200, above and beautiful in both colors). I’m equally torn between the two color of the Sweet Paradise Jacket (now $400) which features incredible embroidery on the back and beautiful fit details all over. Luckily with the Slouchy Vegan Tote (now $50) I don’t have to choose — one side is shiny and metallic while the other is matte and smooth. My closet is already home to the Secret Origins Pieced Lace Tunic (now $70) in one color and I think the ‘violet combo’ will have to be added, as well as the So Obviously Yours Top (now $70) and the It’s A Cinch Buttondown (now $70, that ballet color!!!). Below, more picks from the general sale section — no extra percent off these items at this time. I am still waiting for those beautiful FP items that I have my eye on to get a discount or go on sale….. Like Cool Girl Set and Gardenia Washed Tote but maybe if I am patient, I will have Anthropolitan's luck!